We are created with both visible and invisible bodies. Just as the physical body has systems such as the respiratory system, lymphatic system, circulatory system, etc. ; we also have energetic system recognized by many cultures as the first front of healing: i.e. 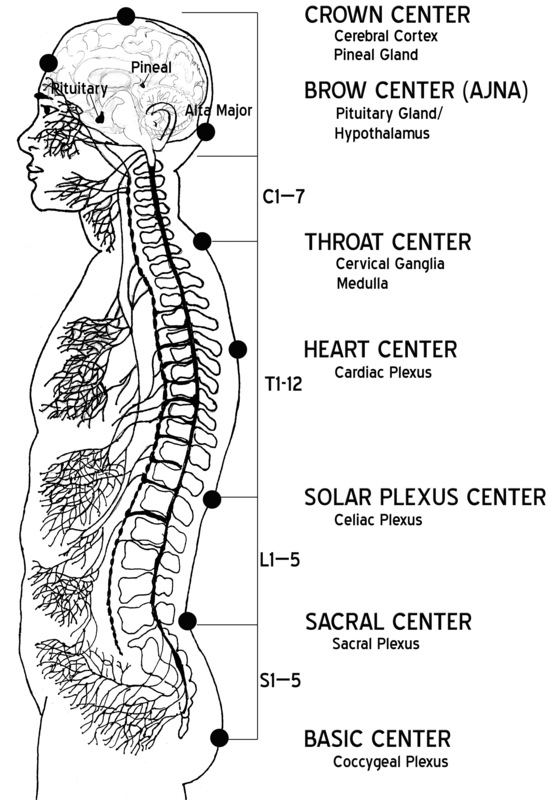 acupuncture meridians, energy centers (chakras). For millenia, cultures around the world have experienced physical healing by balancing one or mores of the energy systems. Energy Centers (chakras) are reflected in each neuroplexus. Our nervous system requires, and mediates, the highest energy potential.